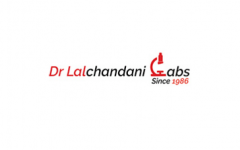 Business description - Dr Lalchandani Labs is formed to set up, engage, collaborate, acquire, purchase, maintain, open collection centres, conduct, manage, administer, own, run laboratories for the purposes of carrying out pathological investigations of various branches of Bio-Chemistry, Hematology, Histopathology, Microbiology, Electrophoresis, , Virology, Cytology, other pathological Investigations and Immunoassay, Immuno-Histochemistry, Molecular Pathology, Dna & Genetic Testing etc. The company is a provider of diagnostic and related healthcare tests and services in Delhi/NCR. Through its integrated network, it offers patients and healthcare providers a broad range of diagnostic and related healthcare tests and services for use in core testing, patient diagnosis and the prevention, monitoring and treatment of disease and other health conditions. Its customers include individual patients, hospitals and other healthcare providers and corporate customers. The company is NABL Accredited Lab has established itself within Delhi/NCR with 5 (Five) Self-Sufficient Labs and multiple collection centers. Dr Lalchandani Labs IPO allotment status is now available on Cameo Corporate Services' website. Click on this link to get allotment status. Sir what is your view ?